The 3rd Narangba Cup a big Success! 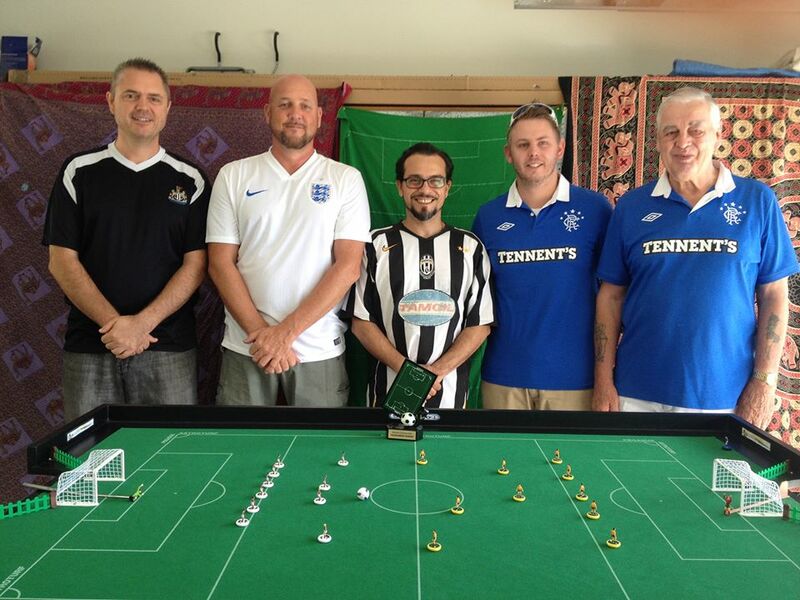 Brisbane Subbuteo Club held its 3rd tournament in Narangba, and it was very pleasing to have 2 new players competing. Rob and Andrew Bennett from Ipswich joined regulars Rik, Giusseppe and Gus, and a great day of matches ensued. Although Rob and Andrew have not played for many years, they certainly showed that they can play, and improved as the day wore on. With a month of practice ahead of them, they will certainly have more of an impact on the next tournament. After the initial round of games, the semi finals were contested between Giusseppe v Andrew, and Rik v Gus, both close games, with Rik avenging an earlier round defeat to Gus, who recorded his first 2 tournament victories today. 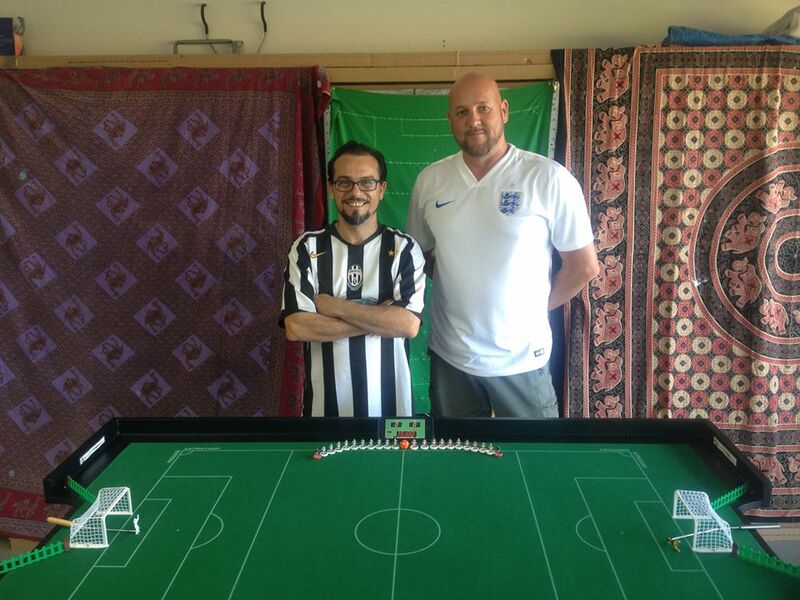 The final was between Giusseppe and Rik, for the 3rd time in as many competitions, and once again, Giusseppe turned on the style for the big occasion, using his Juventus team to run out 4-2 winners over Rik’s Stoke City. A great day was had by all, and special thanks go to Gus’ son Will, who helped out with the scoreboards. This entry was posted in News, Tournament reports on 26/04/2015 by subbuteomelbourne.